TEK-ee-FEEL-ee - enjoying both sides of the brain. 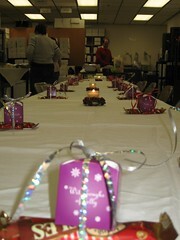 This time it is the Christmas Breakfast in our department. We can throw a work party!